Ties between India and China have been strained in the last few months over a series of contentious issues including the over two month-long standoff between armies of the two countries in Doklam in the Sikkim sector and Beijing's strident opposition to move to declare Pathankot terror attack mastermind Masood Azhar as a global terrorist by the UN. Manila: Prime Minister Narendra Modi today held a brief interaction with Chinese Premier Li Keqiang on the sidelines of the East Asia Summit here. Both PM Modi and Premier Li had chit-chat on Sunday also during a gala dinner hosted by Philippines President Rodrigo Duterte. "Two neighbours in deep conversation. 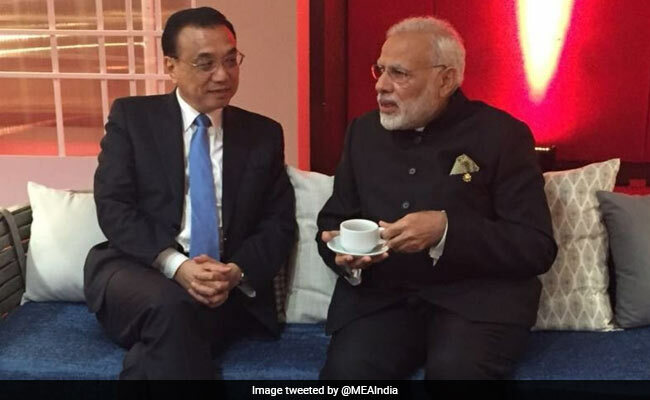 PM @narendramodi with Chinese Premier Li Keqiang on the margins of #EastAsiaSummit Summit in #Manila," MEA spokesperson Raveesh Kumar tweeted along with a photograph of the two leaders engaging in a conversation while sitting on a sofa. It was not immediately known what transpired in the meeting. In an address at the ASEAN-China summit, Premier Li said his country was committed to strengthen ties with the 10-member grouping amid mounting concerns by several countries of the bloc over growing Chinese assertiveness in the South China Sea. PM Modi, in his address at the East Asia Summit, conveyed India's total support and commitment to work with the East Asia Summit, an influential bloc, to address political, security and trade related issues in the region.